DR Video and Interview! 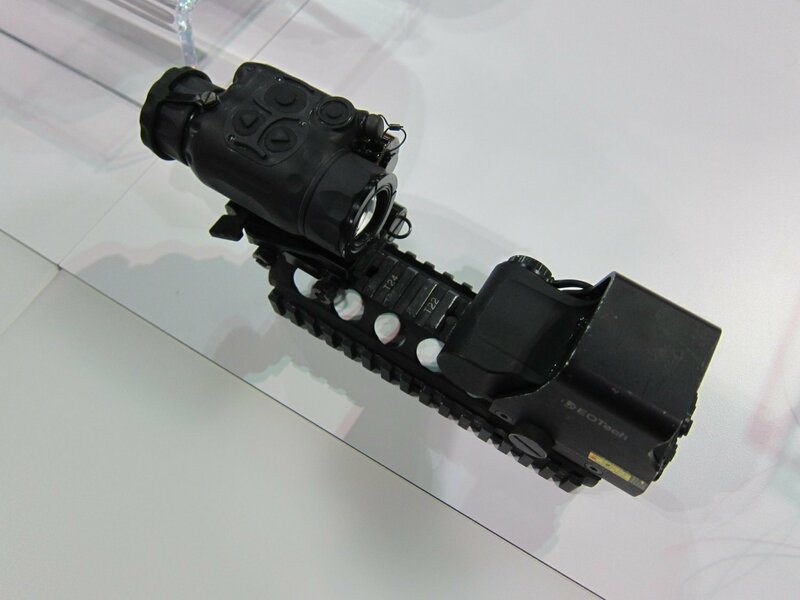 : BAE Systems OASYS SkeetIR and StalkIR Universal Thermal Monocular (UTM) Thermal/IR (Infrared) Weapon Sights with Cantilevered Universal Weapons Mount (UWM) and Modular Night Vision (NV)/IR Fusion HMD Capability! 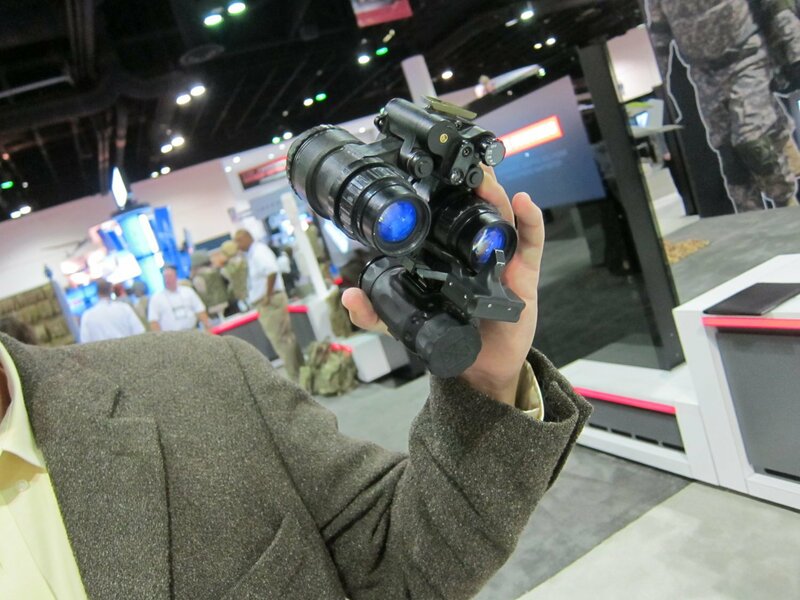 : Operator/Sniper-Developed Electro-Optics for the 21st-Century Future Soldier/Warfighter | DefenseReview.com (DR): An online tactical technology and military defense technology magazine with particular focus on the latest and greatest tactical firearms news (tactical gun news), tactical gear news and tactical shooting news. 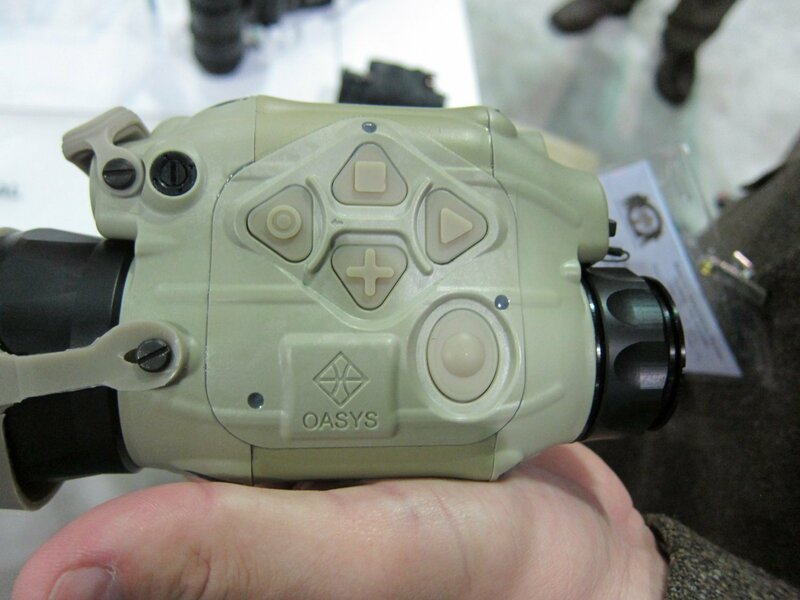 Soldier Systems may have beaten us to the punch with an excellent write-up on the BAE Systems OASYS SkeetIR micro thermal monocular that’s worth checking out, but we’ve got a video demo and photos from SOFIC 2011, and an interview with BAE Systems OASYS developer Bobby McCreight (see below). 😉 While DefenseReview (DR) was running the latest and greatest tactical weapons at the NDIA Infantry Small Arms Systems Symposium 2011 Range Day shoot on May 26, 2011, we couldn’t help but wonder what it would be like to do a little night shooting with BAE Systems OASYS LLC’s SkeetIR and StalkIR Universal Thermal Monocular (UTM) uncooled thermal/IR (infrared) weapons sights mounted up and cloned to our day optic via their handy-dandy, super-slick Universal Weapons Mount (UWM), which allows you to instantly flip the SkeetIR or StalkIR UTM out of the way, if necessary. 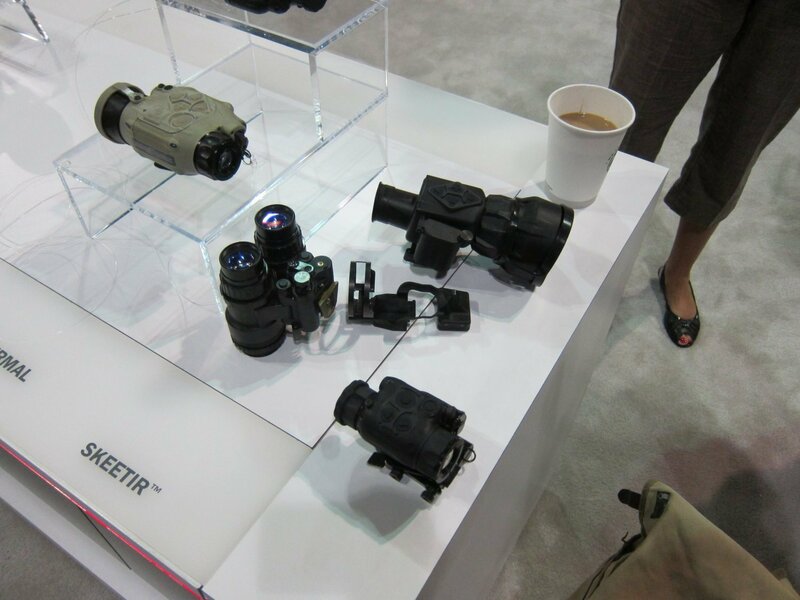 The SkeetIR is the ultra-compact “micro” lightweight IR/thermal monocular/weapon sight pictured in the top two photos at right. It weighs 6.5 ounces (6.5 oz) and is powered by a CR123A battery. It utilizes a 320×240 pixel detector and 640×480 pixel display. Defense Review had previously shot video (see below) of retired U.S. military operator/sniper Bobby McCreight, director of business development at BAE Systems OASYS LLC, demonstrating and explaining BAE OASYS’ latest and greatest thermal/IR electro-optics at BAE Systems’ booth at the 2011 Special Operations Forces Industry Conference (SOFIC 2011), and we came away from that experience very impressed with the products. 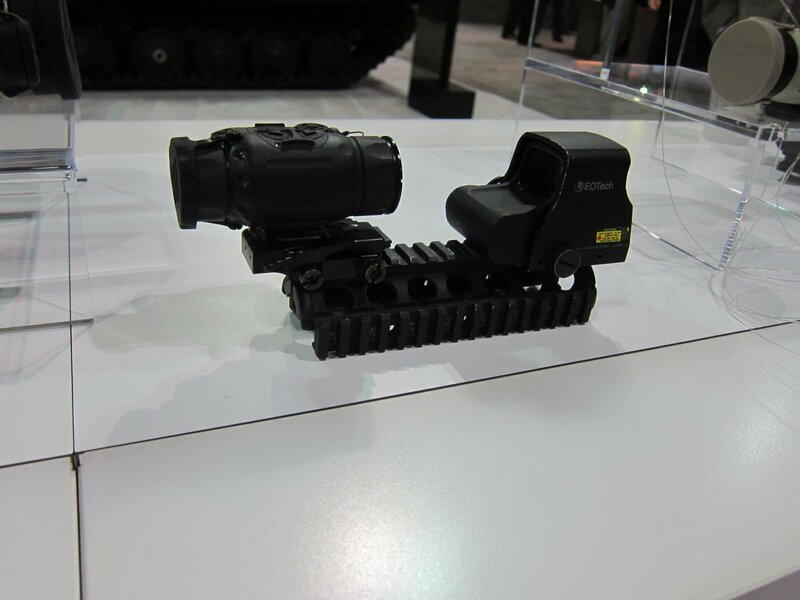 The SkeetIR and StalkIR UTM (Universal Thermal Monocular) thermal/infrared weapons sights, which can be mounted to any rifle or machine gun using the aforementioned very cool UWM cantilevered mounting system, were designed and developed by McCreight and company specifically to optimize U.S. infantry warfighter lethality, i.e. to make engaging and killing the enemy as easy as it can possibly be, and it would appear that they’ve succeeded. If these little thermal/IR honeys perform as advertised, they’re going to be “the heat”, excuse the pun. However, to prove this out, DR would have to T&E them on the range. Defense Review has a term for making it as easy as possible to achieve enemy kills: lethality simplification, or LS for short. Lethality simplification should be the primary design and development goal for any new military tactical product. 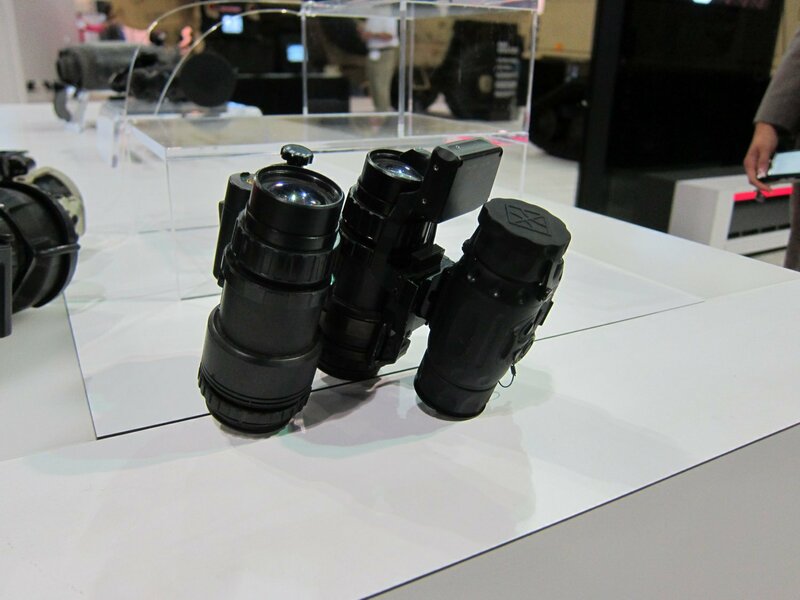 A perfect example of BAE Systems OASYS’ lethality simplification design philosophy is their intuitive Playstation/gamer-type control hot-button setup on the SkeetIR and StalkIR Universal Thermal Monocular (see video below). Another LS attribute of SkeetIR and StalkIR UTM is their ability to be turned on and action-ready within four seconds. To develop the BAE OASYS EO product line, McCreight liaised directly with BAE Systems OASYS president and chief engineer Vadim Plotsker, so the products were developed via direct operator/sniper-to-engineer (and back) communication, which is, in DR’s opinion, the optimum way to do it. 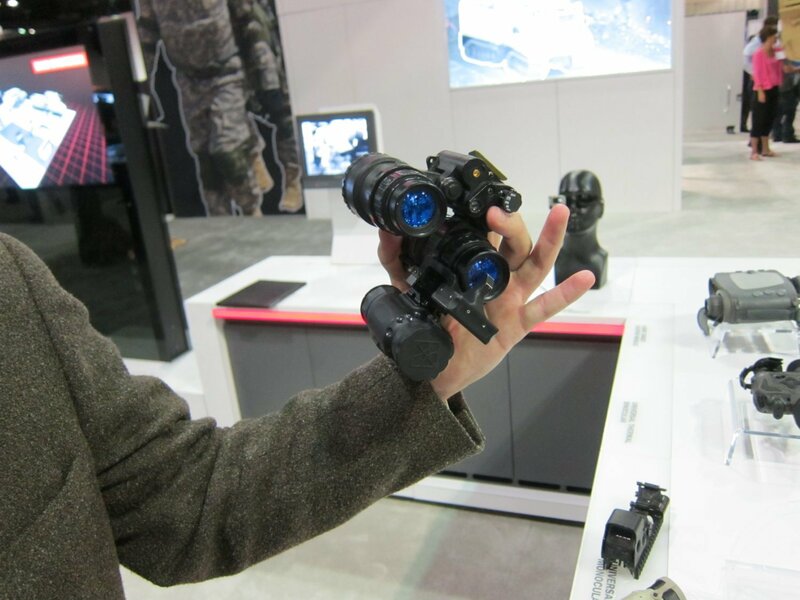 They’ve thought of just about everything, including making the BAE Systems OASYS electro-optics (EO) remote backwards compatible with the PEQ-2A, PEQ-15, PEQ-16, and PSQ-18, and M3X/M6X weaponlights, and working with Wilcox Industries to develop a proprietary NVG (Night Vision Goggle) mounting device called a Clip-On Thermal Imager (COTI) module for the SkeetIR, creating a modular NV/IR (night vision/infrared) fusion sensor HMD (Helmet Mounted Display). The SkeetIR’s thermal/IR image is combined with the night vision image in real time, creating a fused NV/IR image. What’s cool about this is that the SkeetIR can be quickly and easily detached from the image intensification (I2) device/NVG, in case one or the other goes down (i.e., fails)–and sooner or later, your EO equipment WILL fail. Expect it. If the NVG fails, just detach the NVG from the helmet, detach the SkeetIR from the NVG, and mount the SkeetIR to the helmet by itself, and you’ve still got your thermal/IR HMD. No muss, no fuss. David Crane: What’s your operational background, and how and why did you hook up with BAE Systems? Bobby McCreight: I served active duty Marine Corps for a number of years. I was already working for OASYS Technology, LLC when they were acquired by BAE Systems. 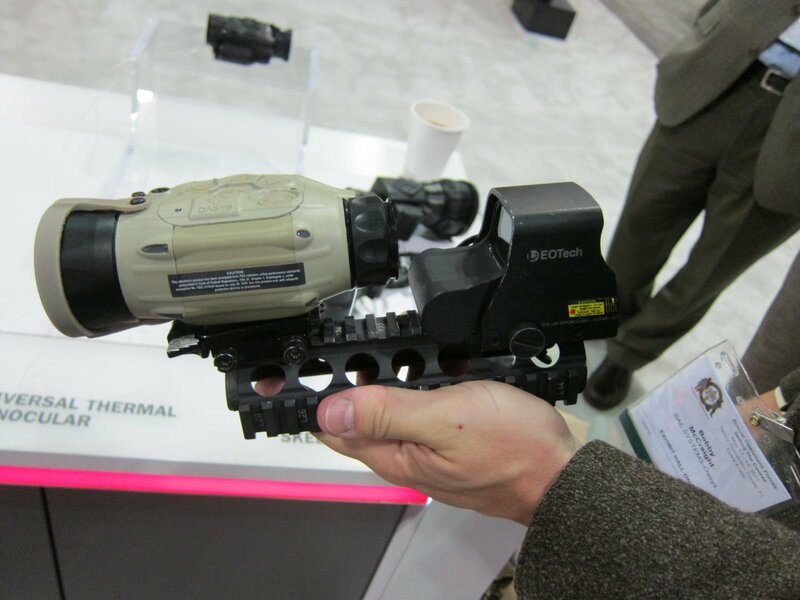 Crane: Why should SOCOM or individual SOF units buy the BAE Systems SkeetIR or Universal Thermal Monocular (UTM) thermal/IR weapons sights over Insight Technology’s, Knight’s Armament Co.’s (KAC), or other companies’ competing products? What are the tactical/operational performance advantages of those two products, if any? McCreight: Of course everyone has their individual opinions of advantageous use. Our systems speak for themselves regarding nearly every aspect of system design; such as power flexibility, multi-mission support, adaptability, ease of use, compatibility, and capability. All combatants see “better, smaller, lighter,” as an enduring directive to industry, which enables capability and their survivability. Addressing these items sends the signal that we understand-clearly. Our competitors make good products, products. I feel as if our product line has jumped ahead significantly without prompt or external funding. This is something we are proud of. Crane: Can you provide an example (or multiple examples) of how the Skeeter, UTM, and universal mount can be employed tactically/operationally in any type of detail that would give the the reader a better understanding of how your products can be utilized to benefit the SOF warfighter? How would you have used them as a sniper while you were still active, and how do you envision a SOF assaulter using them? McCreight: Yes, but please understand the SOF mission is not why we designed the systems specifically. A large portion of (individual) hardware utilized by the larger ground forces are also utilized by SOF, and vice-versa. This is particularly true regarding individual optics. – Common menu/software with our systems. Learn one-learn them all. – Dual use for both the hand viewer “mission” and the daysight clone “mission.” Also having the ability to be used as a stand alone weapon sight with a live reticle. – Forward/backwards compatibility with commonly fielded accessories such as eye-cups, remote cables and interface components. Items the users are already familiar with in their day to day routine. – Ability to phase-in/out systems in seconds as they see fit for use. Such as hand, helmet (monocular), weapon or optical fusion. Generally, our systems serve the capabilities of 2-3 devices with a singular device, and do so with both economy to scale and motion,while also decreasing the training time for familiarity. Both sniping and assaulting missions are dynamic and have moment by moment visual needs. When visual input is disaffected, the transition has to be momentary-a few second at most-to an alternative capability be it NV, sensor thermal, white light, etc. I feel we have done this. Crane: Please outline/describe how you envision BAE Systems electro-optical products being integrated with ULW (Ultra Lightweight Warrior). McCreight: Commenting on a program I am not directly involved with would be near-sighted. The commentary above I do feel would support any program advancing the the decrease in weight/mass on future combatants. 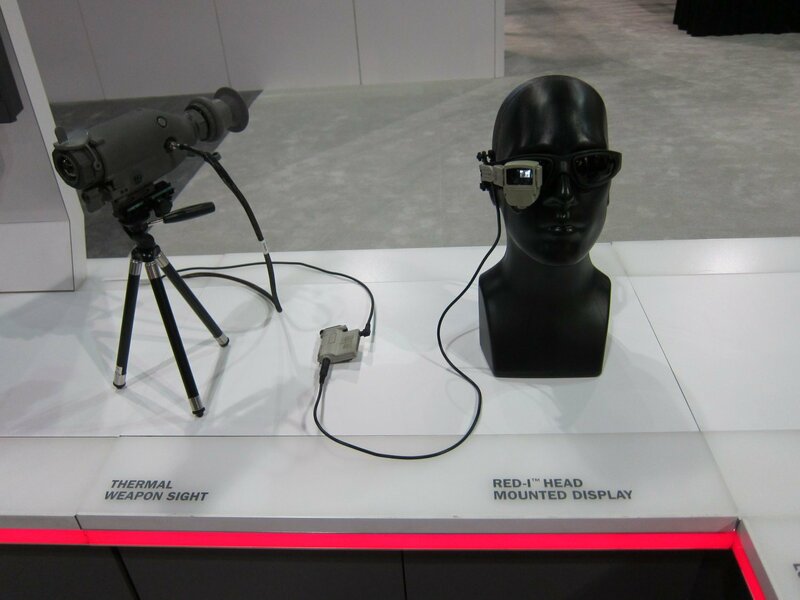 Crane: Please describe how you see the see-through eye display being integrated with the electro-optics and employed tactically/operationally. Do you like the see-through eye display? McCreight: Yes, I feel it is most definitely an advantageous periphial system. 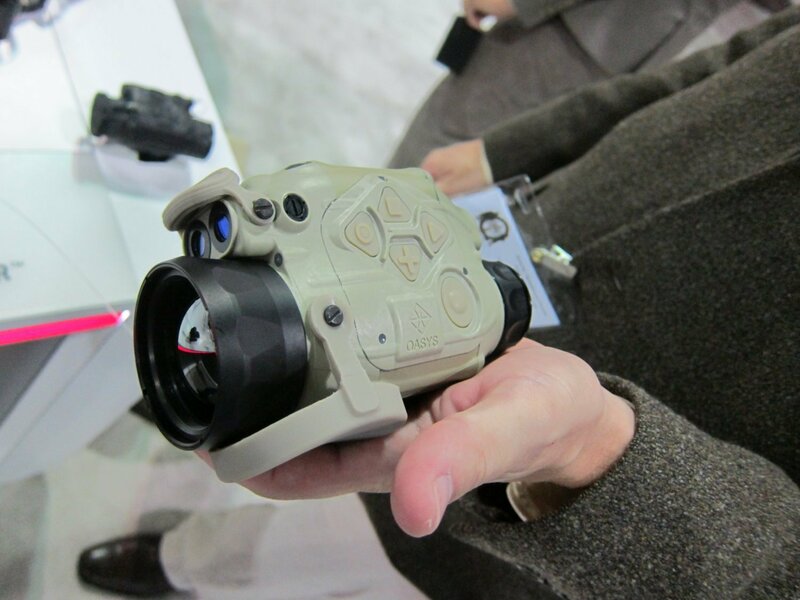 The HMD allows any thermal weapon sight in the DoD to be used with a remote capability, not just our systems. The past award by US Army indicates they feel this is a capability requirement as well. Whether on a vehicle-centric machine gun, aircraft gunner’s mount, or on an extended pole to “peek” corners, walls or stairs, the pass-through rheostat ability provides sensor viewing while maintaining a very high degree of (human eye) situational awareness. Also, the system is completely modular which allows any number of configurations. Crane: How reliable and durable/rugged are these products? Can they handle being dropped, abused, etc.? Are they as or more reliable and rugged as/than the competition? McCreight: Our systems are not indestructable unfortunately, but at this point I believe we have yet to have a systems returned that was “hard broke.” We have had a minimum of systems returned, and those have typically been hard use wear/tear-repaired and returned. Yes, our systems do meet operational use specifications, are warrantied and are robust enough to hold their own against any competing system. Crane: As a sniper/operator, what would you like to see modified and/or improved on Skeeter, UTM, universal mount, etc.? McCreight: Frankly-nothing. We have implemented changes several times to existing products in under several months. The UTM has had three notable changes/improvements with no cost increase, to include additions to software, optical improvements, backwards compatibility additions- as well as other capability-user enhancements. We do our best to keep the systems open to enhancements. Crane: Is there a product that BAE Systems doesn’t currently offer that you would like to see them develop and offer to the SOF community? McCreight: Not SOF specific, no. But of course we are always developing new technologies both inside and outside the EO realm. Crane: How do BAE Systems products compare cost-wise to the aforementioned competition? McCreight: Our prices points are exceptionally competitive. In most cases buyers are pleasantly suprised at our cost points. Crane: How easy are your dealings with BAE Systems executive management and the engineering team? Do they seem to understand you and like you? Do they respond quickly and correctly to your product development suggestions/recommendations? McCreight: My dealings with management are not uncommon. BAE Systems, like any industry manufacturer, has an enormous day-to-day responsibility. My hats off to the men and women who keep the business centered and improving within the countless areas within the company. I conceptualize many designs. My boss does a great job of reminding me of the realities of physics. Some of our systems have more than 1,000 parts and fit in your hand –that’s a sobering consideration. Crane: Is there anything you think is important to communicate to the public about any of these products that I didn’t think to ask you, and/or that wasn’t covered in the video I shot at SOFIC? McCreight: At this point, our systems are not available to the general public. This is something we are discussing for options at a later date. DR Action Video! 300 AAC Blackout (300BLK) 7.62×35mm Suppressed PDW-Type Tactical AR SBR/Sub-Carbine and FN Mk46 MOD1 Fired on Full-Auto: Quiet-Killer Cartridge Impresses at the Range! Previous: DR Action Video! Colt IAR (Infantry Automatic Rifle) 5.56mm NATO Mag-Fed AR: Light Machine Gun/Squad Automatic Weapon (LMG) Proposed Replacement Fired on Full-Auto at the Range!